On 2 October 2017, the Supreme Court of the Russian Federation refused to recognise and enforce an arbitration award issued in favour of Italian manufacturer SPIG by a tribunal under the Rules of the Arbitration Institution of the Stockholm Chamber of Commerce (the “SCC“) against indirectly state-owned Russian company Promkontroller. This decision marks the end of the award battle after two other unsuccessful challenges of the award in the Moscow state commercial courts (“arbitrazhnyie sudy” in Russian). SPIG, which manufactures and designs parts for thermal power plants, and Promkontroller, a Tecon group manufacturing company, had entered into a contract for the supply of equipment, where SPIG was the supplier and Promkontroller was the purchaser. The equipment was intended for a state power plant called “Serovskaya GRES”. On 1 September 2016, an arbitral tribunal under the Rules of the Arbitration Institute of the Stockholm Chamber of Commerce issued its award against Promkontroller, terminating the contract between the parties and ordering the payment of damages, which triggered a string of judicial battles in the Russian courts. According to the Moscow Court, the SCC tribunal had made a gross error when determining the governing law of the parties’ contract and had, therefore, wrongly applied the rules of the Vienna Convention, thus violating the principle of freedom of contract and therefore contradicting the norms of Russian public policy. According to the agreement, the applicable law chosen by the parties was the legislation of the Russian Federation, not the Vienna Convention, which is part of Russian law, but not part of the “legislation” of the Russian Federation, and for that reason it could not be applied. However, the clause in question states that “…the applicable law is the current legislation of the Russian Federation, including but not limited to all federal, regional […], municipal regulations affecting the implementation of the agreement”. The contract has not expressly excluded the Vienna Convention, and by stipulating “including, but not limited to” the clause leaves room for the Convention, as a norm affecting the agreement’s implementation. Without such a literal interpretation, the court’s argument is quite arguable. By incorrectly applying the Vienna Convention to the parties’ commercial contract, the SCC tribunal terminated the contract starting from 25 January 2015, whereas the actual decision to terminate the contract was taken on 1 September 2016. To the Moscow court, the recognition and enforcement of such an award contradicted Russian public policy due to this inconsistency, and it was against SPIG’s own claims in relation to events after the initial January termination date. Moreover, the SCC had wrongly terminated the contract in the first place, because this decision was made under the incorrect application of norms of the Vienna Convention that was not governing the parties’ relations. It is reasonable for the Moscow state court to acknowledge the differing termination dates and not to accept both of them; otherwise, it would have been unclear what time period SPIG’s claims covered and what actually constituted the end of the parties’ obligations. As the SCC award essentially stipulated the termination of the parties’ contract, it also ended SPIG’s guarantee obligations under the contract in connection with the attainment of the equipment for the Serovskaya power station. The unattained equipment in turn, according to the court, put at risk the proper functioning of the plant, and that is why recognising and enforcing the award contravened Russian public policy. This argument, although seemingly of great weight, might actually be far-fetched. The court does not really discuss or mention the availability of any evidence or expert opinion as to consequences of the unfinished equipment on the plant. It makes a statement as to the adverse effect of the unfinished equipment, which although generally true, might not necessarily be as detrimental as the court claims so as to justify the public policy argument. The court disapproved of the SCC tribunal’s finding that SPIG had not incurred any actual losses and the fact that it had nevertheless ordered Promkontroller to make a payment on the basis of future loss of profit. One of the main requirements of the SPIG was to compensate it for damages in the form of future lost profits incurred as a result of non-payment of the remaining 10% of the price. The tribunal, essentially, demanded a remedy in favour of SPIG for work and services that it had failed to fulfil, and the court qualified this as unjust enrichment. The tribunal deduced the sum from the one specified in the parties’ contract, being the costs SPIG would have incurred had it actually provided the services for which the payment was intended. According to the court, such an unjust enrichment and hypothetical costs were contrary to Russian public policy and that is why the recognition and enforcement of the SCC award were impermissible. The court’s observations and stance towards the damages payment are too critical. Of course, there is a risk that the sum determined for the future loss of profit might not be quite right. However, it is undeniable that SPIG would have incurred losses, just like it claimed, as a result of the non-payment of the remaining 10% of the price when the contract was ended. Those future losses, although not precisely calculable, remain a fact, and they cannot easily be described as unjust enrichment. They are just a result of the prematurely ended contract and would not have otherwise been incurred. The court was also very critical of the fact that in the operative part of the award the damages of €1+ billion were not classified as loss of profit. The damages were described as a loss of profit only in the reasoning part of the decision. Promkontroller asked the tribunal to have the operative part of the decision reflect the reasoning part with regard to the description of the damages, but that request was declined. Under Russian law there is a substantial difference between loss of profit and regular damages; therefore, according to the court, SPIG’s claim for loss of profit cannot be equated to pure demand for compensation and be nevertheless awarded on the basis of lost profits, despite those contradictions, because the enforcement of the award would contradict Russian public policy. Again, the court’s argument shows its literal interpretation of the SCC tribunal’s actions. If the damages were nowhere described as a loss of profit, then it would have been reasonable for the court to take the current stance, considering the differences in Russian law. But just because the damages were not properly named in the operative part of the decision as loss of profit, it does not mean that they are not such, especially when the tribunal has described their character as loss of profit in the reasoning part. The amount of the damages is just too substantial to be given a green light by a Russian court against a Russian-owned company, and this seemingly procedural inconsistency usefully justifies the court’s decision. Initially, SPIG filed a claim in the SCC, in which it demanded to recover from Promkontroller 10% of the price of the contract, the payment of which was pursuant to section 5.3.4 of the contract. But at the last stage of the arbitral proceedings, SPIG changed the claim and demanded to recover damages caused by Promkontroller’s failure to comply with their contractual obligations. Thus, according to the Moscow court, SPIG changed both the subject and the basis of the claim, which is prohibited under Russian law and contradicts the public policy of the Russian Federation. But from the judgment it looks like the court had an issue not so much with the changes of the subject matter and the basis of the claim, but more so with their last-minute occurrence, and more importantly the fact that Promkontroller, allegedly, did not have enough time to properly prepare a response to the new claim and was pressed for action. This lack of time and immediate change of circumstances to the detriment of Promkontroller’s position were a ground for the court under the New York Convention not to recognise and enforce the SCC award. This argument of the court appears to be well justified as Promkontroller did not have an opportunity to prepare a thorough and motivated response, and was, therefore, supposedly not defending itself to the highest standard, which affected its position in the arbitral proceedings and might have contributed to an extent to its loss. The arbitral tribunal resolved the arbitration dispute under Swedish arbitration law, which contradicted the arbitration clause in the parties’ arbitration agreement because it stipulated that any dispute referred to the SCC had to be arbitrated in accordance with the arbitration rules of the SCC. Disrespecting the parties’ arbitration agreement was another misconduct that prevented the Moscow court from recognising and enforcing the award under the New York Convention because the parties did not intend for their dispute to be decided in accordance with the procedural law of Sweden. On the one hand, the court’s argument is not easily acceptable, because in any institutional arbitration there are institutional rules and domestic procedural law to be applied. That is why the SCC’s approach could not be readily treated as a violation of the parties’ agreement. But, on the other hand, the fact that it has not expressly referred to and applied particular provisions of the institutional rules, as the parties’ had agreed to, is nevertheless a breach of their agreement. 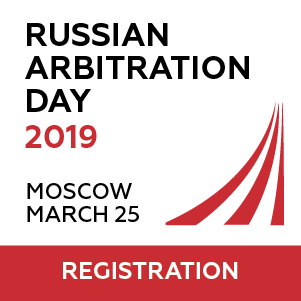 Another breach of the parties’ arbitration agreement that the court found was that the arbitration proceedings had to be with a venue in Stockholm, Sweden, but they were actually held in Moscow and the arbitrators delivered their decision in Moscow. Therefore, the court could not recognise and enforce the award issued. The court’s strict view is partially justified because the attempt to play a fiction on the place of arbitration by going to another jurisdiction is an attempt to circumvent the law, and this practice has to be deterred. But, on the other hand, those who intend to resort to arbitration will be disadvantaged because an inflexible reading of the venue clause and a compulsory demand for the arbitrators to sit or make a decision in a strictly specified place can make the procedure impractical and expensive. There is also the crucial issue whether Promkontroller actually insisted during the arbitral proceedings on an arbitration hearing in Sweden rather than any other place. This question is not addressed by the court, but it is of great significance for the justification of its argument. The arbitration agreement specified three arbitrators. However, the decision was rendered and signed only by two arbitrators, as the presiding arbitrator resigned after the final hearing. The court considered this a breach of the parties’ arbitration agreement and could not recognise and enforce the award. This may seemingly be a procedural and less justifiable argument of the court, especially when the third arbitrator had essentially taken part in the proceedings almost to their very end. But the court was rightfully alarmed by the fact that the arbitrator appointed by the claimant was a reputable lawyer which, in the judge’s opinion, could and apparently did influence the arbitrator appointed by the respondent, who was not a lawyer. Although appointing a non-lawyer could be viewed as a risk voluntarily taken by the respondent, Promkontroller relied on the arbitration agreement that there would be a third and independently appointed arbitrator. Had the agreement actually been complied with, the non-lawyer arbitrator would not have been as much influenced. Taking all those reasons into account, the court declined to recognise and enforce the SCC award against Promkontroller. SPIG appealed the first instance decision, asking the Commercial Court of the Moscow Circuit to reverse the first-instance decision and return the case to the lower court for reconsideration. SPIG referred to violations by the court of norms of procedural and substantive law and indicated that the court had violated the provisions of Article 244 of the Arbitration Procedure Code of the Russian Federation, which provides for an exhaustive list of grounds for refusing to recognise and enforce a decision of a foreign court. SPIG also contended that the court had allowed itself to review the decision of a foreign arbitral institution, essentially going beyond the limits of its competence. It also pointed that the court’s conclusions on the violations of the parties’ arbitration clauses regarding the place of arbitration and the number of arbitrators did not correspond with the actual circumstances of the case. Promkontroller fully agreed with all of the first instance arguments of the court, especially the ones in relation to public policy violations and breaches of the arbitration agreement. The Commercial Court of the Moscow Circuit upheld the first instance decision, although the number of grounds had diminished. The court supported the lower court’s arguments that the SCC tribunal had violated the parties’ arbitration agreement in relation to the arbitration venue and the number of arbitrators. The court also supported the first instance’s findings as to the inapplicable Vienna Convention, the changes of the subject matter and the basis of the claim and the discrepancies in relation to the termination dates. The arguments on unjust enrichment on behalf of the SPIG were accepted as well. Justice Pronina, sitting in the Russian Supreme Court, upheld the lower courts’ judgments. Having considered whether the lower courts had committed gross violations of substantive and procedural law, she found that there were no substantial grounds to review the appealed judicial decisions of the two lower courts. Justice Pronina concluded that SPIG’s pure disagreement with the findings of the lower courts did not confirm any significant violations of material and (/or) procedural law, but instead it could simply be reduced to the different evaluation of the evidence submitted and the circumstances of the case. For the Supreme Court of Justice of the Russian Federation, this was not a ground to reverse the judgments. As seen, almost all of the arguments of the Russian courts are prone to a second reading, although there are reasons not to confirm and enforce the SCC award, such as the wrongly applied governing law to the parties’ contract or the last-minute changes to the claim. An examination of the Moscow Commercial Court’s ruling in greater detail by the higher courts would have been more helpful, as opposed to the pure regurgitation of findings that have already been made. However, undeniably there is a certain degree of protectionism that the Russian courts in all instances exercised over the defendant, Promkontroller. Maybe because of its alleged significance for the country’s energy sector, maybe because Promkontroller is partly indirectly owned by the Russian state, the protectionism-based theme runs across all stages of the case and it has had its own weight on the final decision. 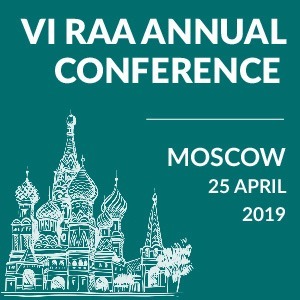 SPIG v Promkontroller reinstates the importance of Russian public policy and the impact of arbitration awards on it. 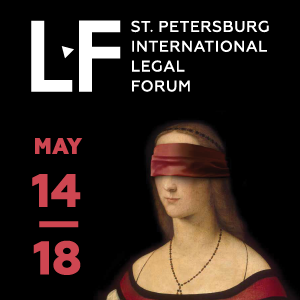 Parties are helpfully reminded that Russian courts are prone to literal interpretations of commercial contracts and that deviations from the text of arbitration agreements are taken very seriously, which is why both the parties and the foreign arbitral tribunals need to be meticulously compliant. 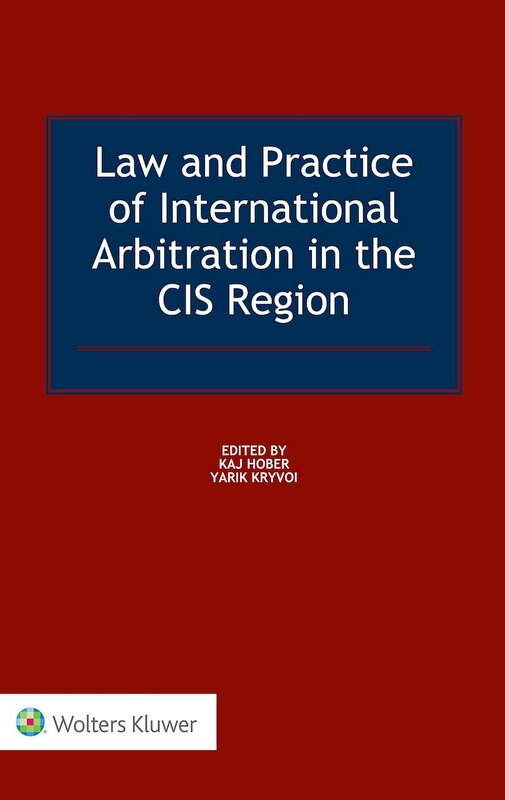 Mariya is an intern at CIS Arbitration Forum. She holds a Law degree from Queen Mary, University of London. She is an LPC student at BPP University Law School. Mariya has worked as a paralegal at the Dispute Resolution departments at some of the leading international law firms. She has also gained legal experience at different law firms and governmental bodies in Eastern Europe. Her professional interests focus on Commercial Litigation and Arbitration, Investor-State Disputes and White-Collar Crime.